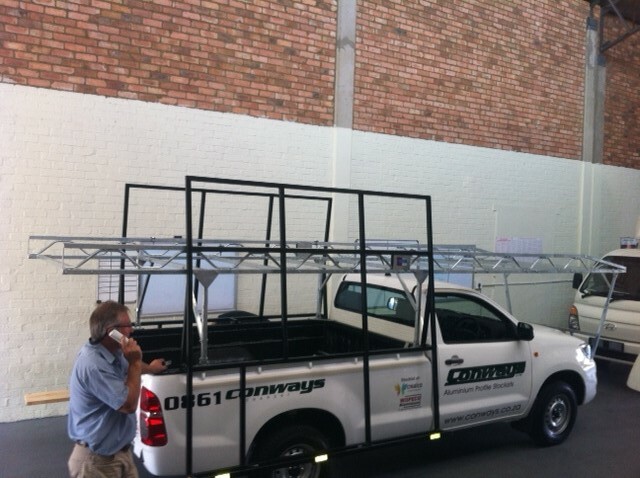 We supply various types and premium quality contractors racks to meet your needs. 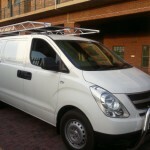 Ideal for plumbers, electricians, carpenters, maintenance/handyman jobs etc. 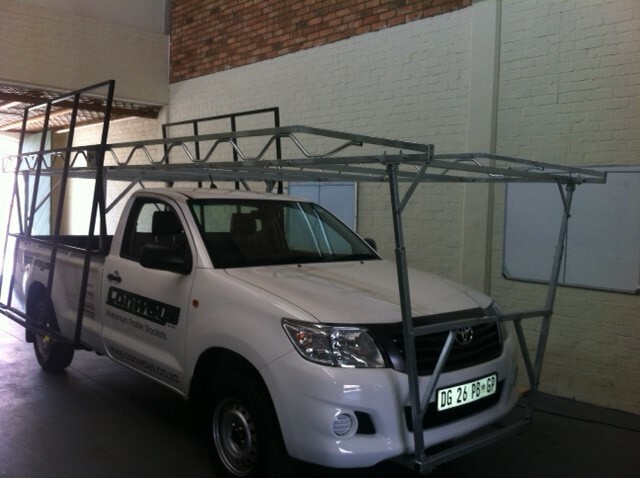 We offer two types of racks, traditional and a new design as seen in the picture below. 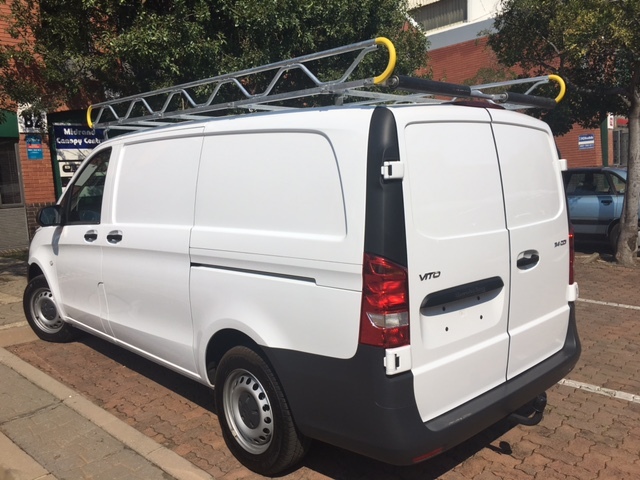 Our recently modified racks will ensure that your vehicle bin does not split from heavy loads when mounted on the lid of the bin especially when trying to maximize space. 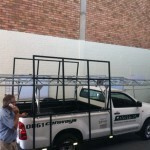 Contractors racks are perfect for adding more space for what you need. 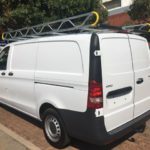 Create more space on top of your vehicle to safely load ladders and pipes. 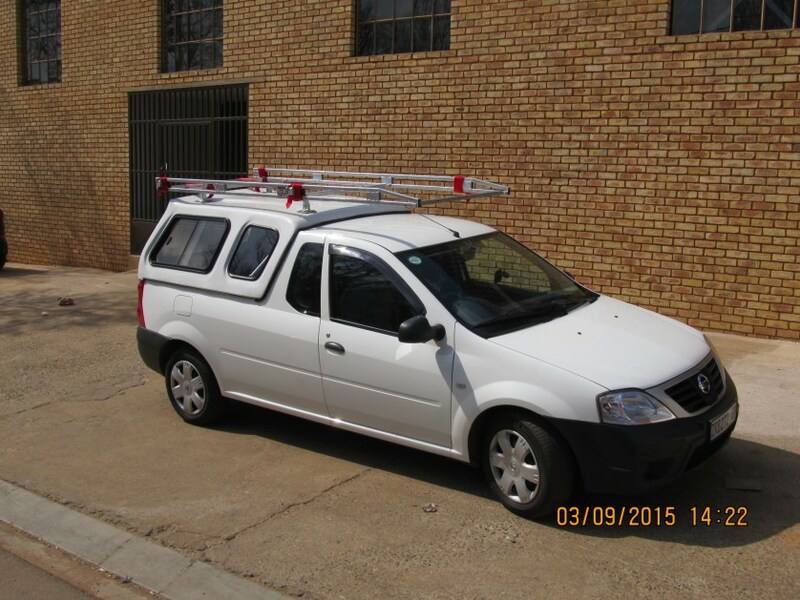 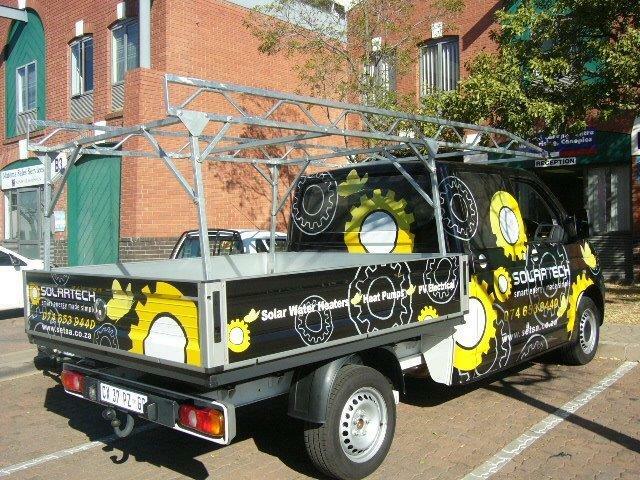 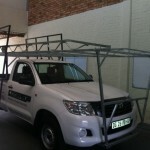 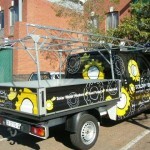 Midrand Canopy Centre supplies and installs racks for any make of vehicle. 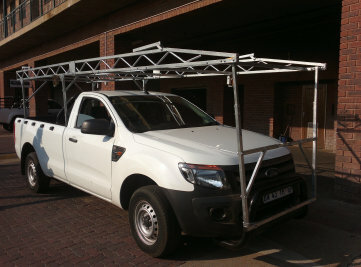 I’m looking for a roof rack, bumper to windscreen for a Ford Ranger Double Cab xlt. 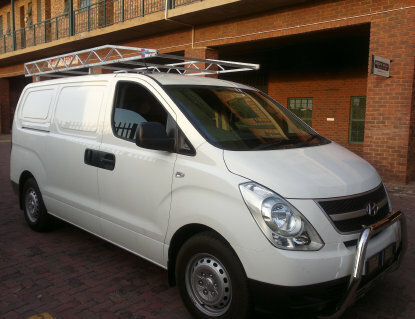 Main purpose to carry lengths of plumbing and electrical conduits/piping as well as ceiling boards. 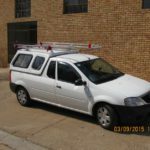 Please send me a quote. 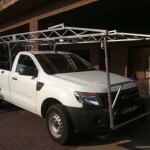 Please can i have a price on an isuzu double cab 2009 model canopy with rack protruding to the front wind screen.